Give yourself and your survivors peace of mind by pre-planning for your own funeral. Pre-planning your funeral allows you to make informed decisions. 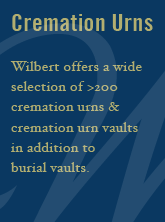 Contact your preferred funeral home to select your preferences and to make upfront payments. Begin organizing important documents your survivors will need. Establish a reasonable budget to plan accordingly. Consider your faith’s religious practices. Offer general recommendations to your survivors for making the funeral more meaningful. Refrain from impractical requests. Most important, discuss your intentions with your funeral director and family so they understand, respect, and fulfill them. Begin your pre-planning now by contacting a local funeral home and completing your diary of personal wishes. Contact your insurance agent. Learn about the types of coverage and which your family will need. Keep your policies in a safe place. Notify your beneficiaries about your insurance and the location of the policy certificates. Ensure your affairs will be administered after your death correctly. A properly prepared will is essential. Without a will, your property and holdings will be distributed according to law and a court will appoint an administrator to probate your estate. Contact your attorney soon if you do not have a will. If you do have one, review and update it regularly.